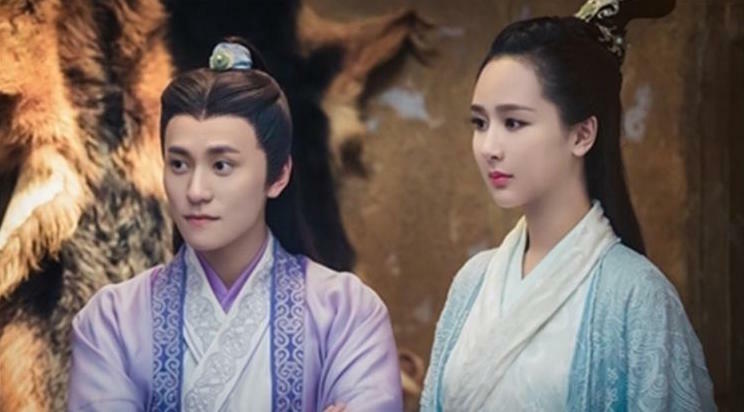 The first reel-to-real couple hogging the headlines this week are Qin Jun Jie (25) and Yang Zi (24) who played the part of Qing Yun students in the fantasy wuxia Legend of Chusen. It was the handiwork of paparazzi that gave away their relationship in the first place, but they never confirmed their dating status until Valentine's Day. 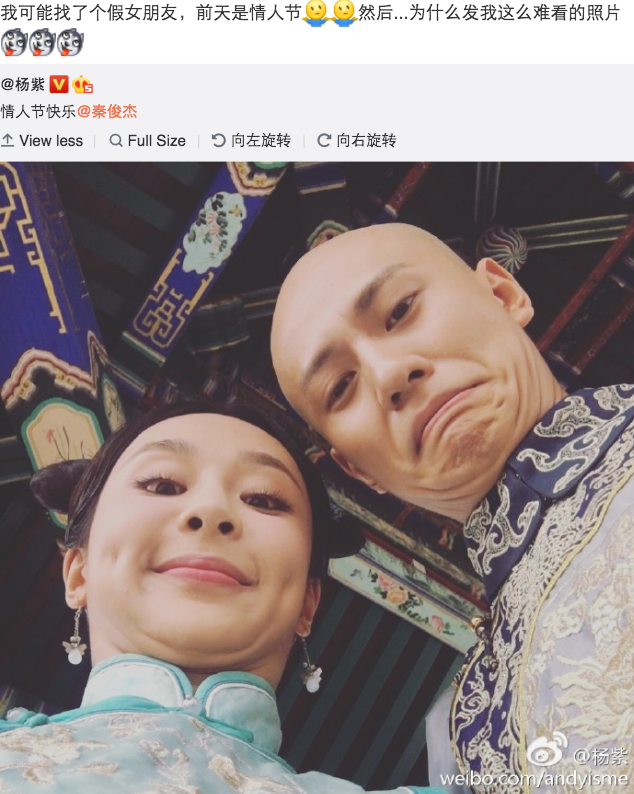 Yang Zi posted a silly picture of the two on the set of Legend of Dragon Pearl along with the message, "Happy Valentine's Day @Qin Jun Jie." He responds, "I might have found a fake girlfriend, the other day was Valentine's Day then... why send me such an ugly picture"
You gotta love the humor in these two and their interactions are always sweet with him never shying away when it comes to her and even proudly admitted that he has been watching Yang Zi's dramas (she started as a child actress) from when he was young until now. But wait, the story doesn't end there. Yang Zi's long-time friend, fellow actor and schoolmate Zhang Yi Shan inserted a short quip about the couple while talking about his new drama Kill Me Heal Me. He says, "Have to congratulate that person and that person, be happy everyday, and also, that person should be good to our family's that person, be happy." 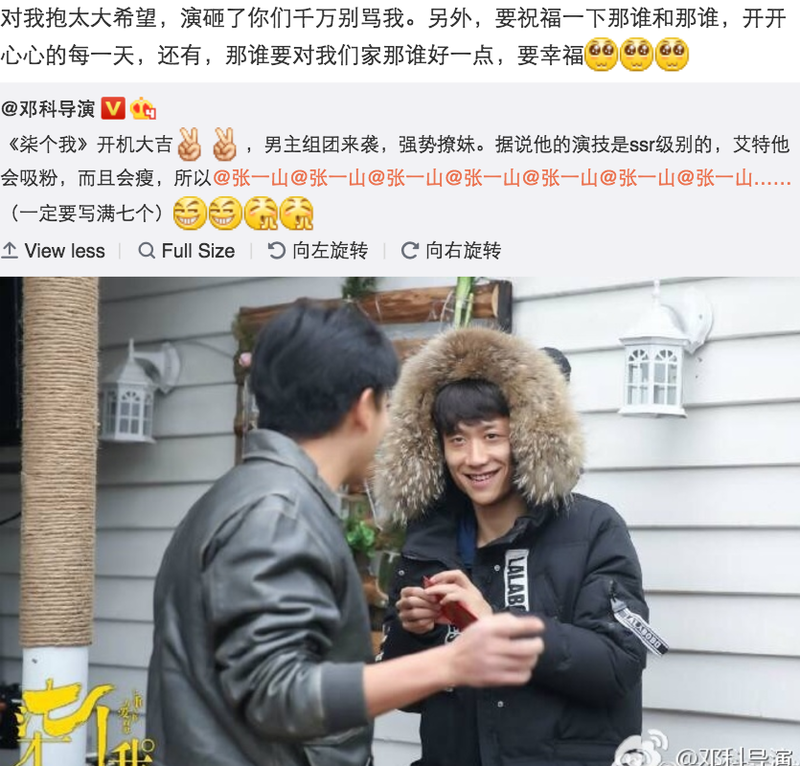 He and Yang Zi were in the 2005 family drama Happy Home together. There were only thirteen then.